We're only half a day into the New Balance Indoor Nationals and a Maryland athlete has already set a meet record. 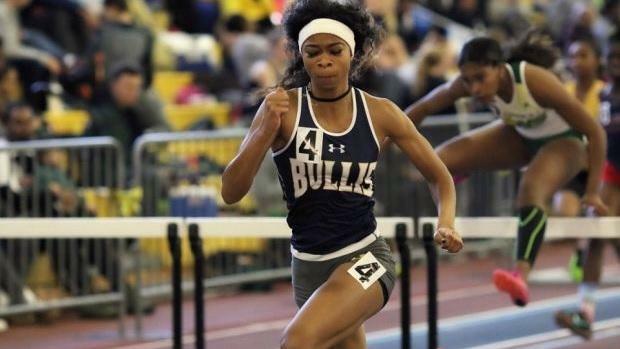 Bullis' Leah Phillips, who is currently third on the state leaderboard in the 55 meter hurdles, won the Emerging Elite 60 meter hurdle finals on Friday at the Armory in New York. Her time of 8.49 was a hair better than the old Emerging Elite record of 8.52. The performance converts to 7.91 in the 55 meter hurdles, substantially faster than her 8.02 season best in the event. Her teammate, Cierra Pyles, finished first in the prelims, and her time of 8.57 also converts to a sub-8.00 55 hurdle time (7.99). Pyles finished fourth in the finals.